Xometry operates a unique platform connecting engineers and procurement professionals in need of custom parts to manufacturers who can create them—revolutionizing a previously time-intensive, inefficient process. 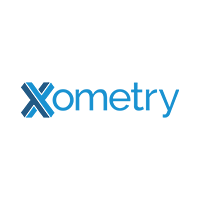 Creating an entirely new marketplace and serving as its network orchestrator, Xometry continues to redefine the supply and demand network for this $80+ billion industry. Xometry has matured into the fastest growing manufacturing on-demand platform in the world backed by investors including the venture arms of BMW and General Electric, the Maryland Venture Fund, Foundry Group and Highland Capital Partners.